If your ideal romantic escape involves towering palm trees, crystal-clear Caribbean waters and sugary white-sand beaches, the Dominican Republic is your perfect getaway! 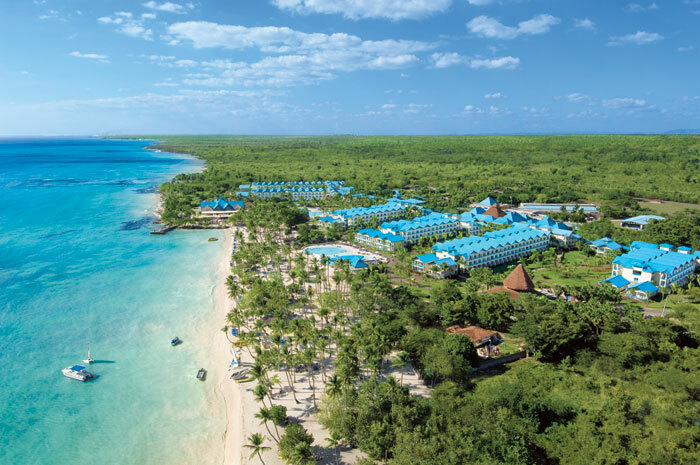 Nestled on the island of Hispaniola Dominican Republic is the second largest nation in the Caribbean. The welcoming community, rich history, infectious music, and breathtaking landscapes make it the perfect destination for any getaway. 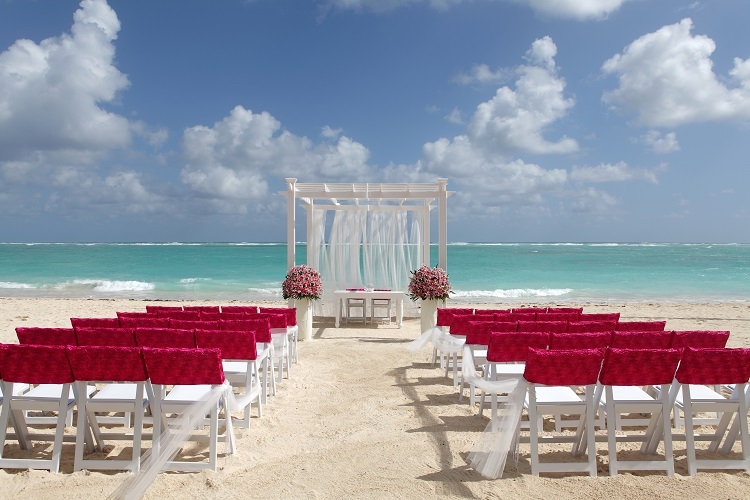 Trust us when we say weddings in the Dominican Republic are impossible to resist! Dominican Republic is perfect for all travelers! 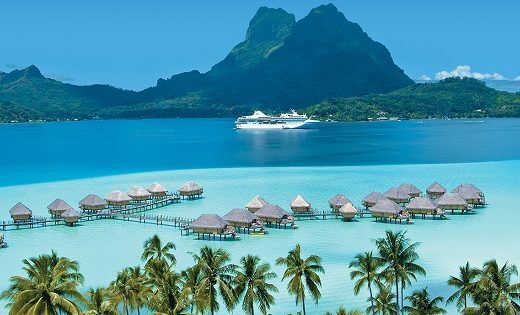 Whether you’re traveling to sit back and relax on the beach or seeking some once-in-a-lifetime thrills, this picturesque locale provides limitless possibilities. 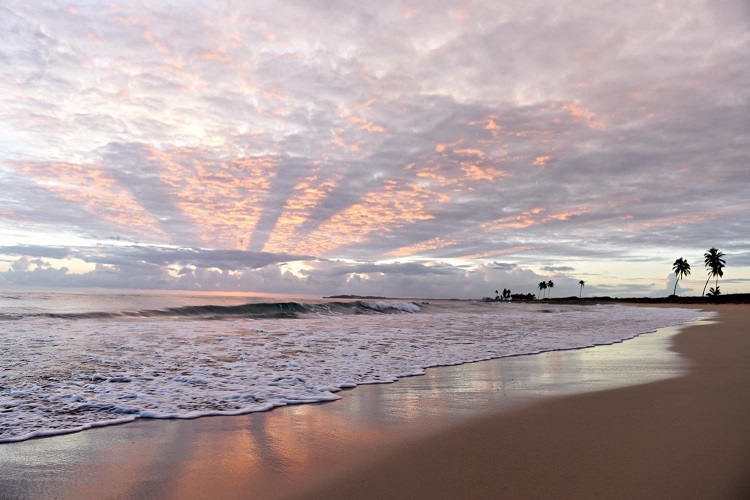 Travelers can play golf, whale watch, kite surf, dive, snorkel, or even taste the local cuisine and fresh seafood! Ruins, waterfalls or visit the highest peak in the Caribbean make it easy to enjoy incredible adventures while away. 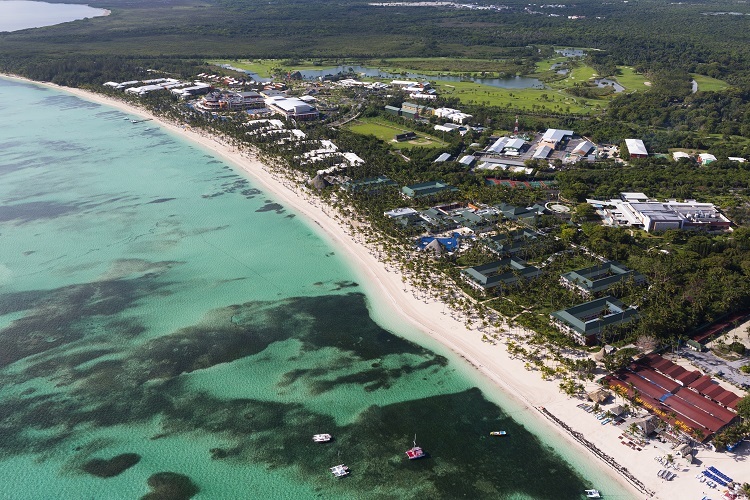 When it comes to finding the perfect resort for your getaway, you’ll have a difficult time choosing just one. 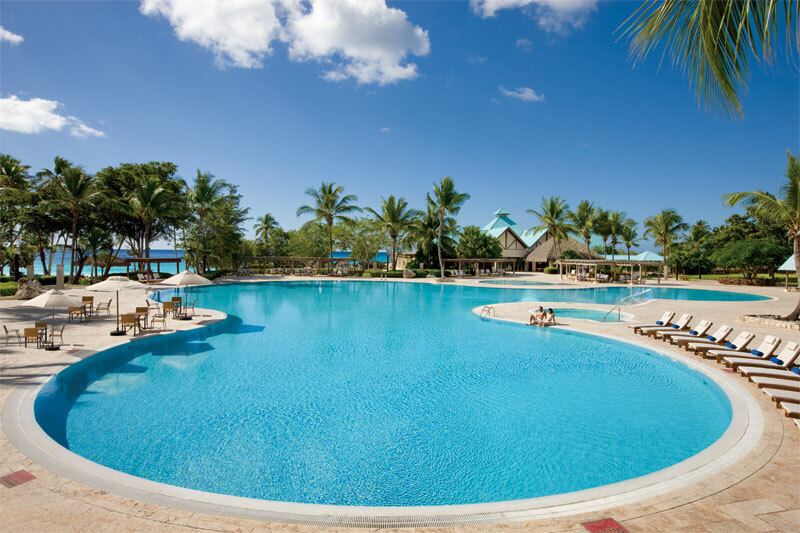 From the renowned beaches of Punta Cana and Puerto Plata to the vibrant culture of Santo Domingo and the romantic Samana, Dominican Republic provides hundreds of luxurious options. 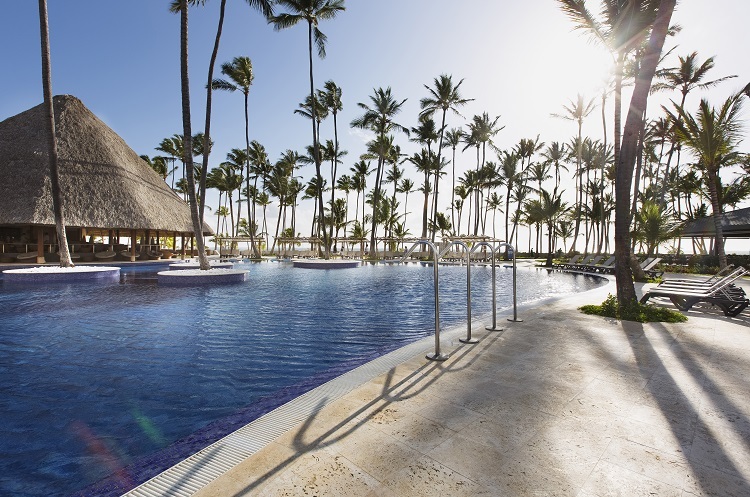 The Barcelo Bavaro Beach Resort in Punta Cana is an adults-only, five-star escape on a beach that has been named one of the top 10 in the world. 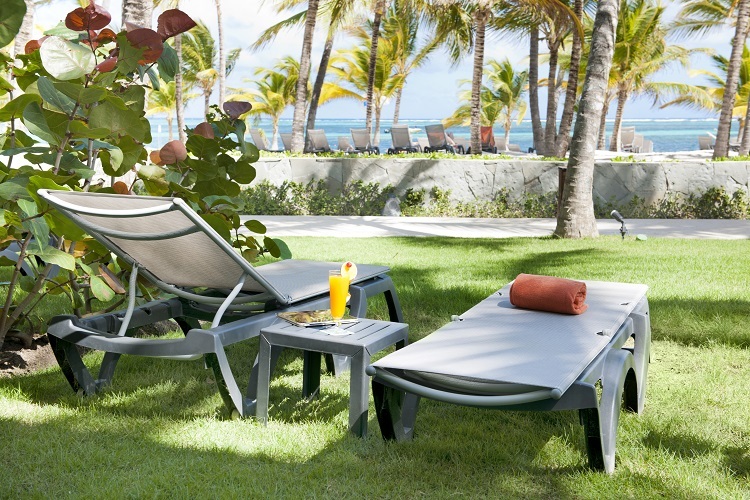 Dreams La Romana is located in an upscale resort town that is home to the highest rated golf course in the Caribbean! La Romana attracts active travelers who love visiting the Guadalupe underwater museum while on a snorkeling excursion or strolling through Altos de Chavon; a recreated medieval European village with rustic and romantic architecture. Each region of Dominican Republic is uniquely romantic and breathtaking. 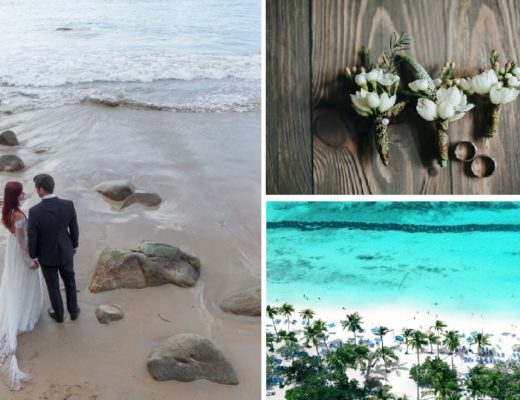 Wherever you decide to stay, Dominican Republic is ready to make your destination wedding, honeymoon or anniversary extraordinary. 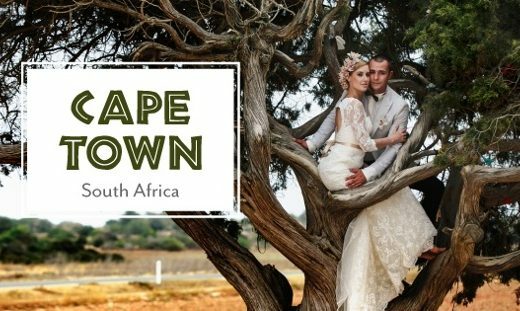 Elegant resorts and postcard-worthy backdrops combined with personalized wedding services and exclusive amenities provide you with a dreamy atmosphere that’s delightful and stress-free. The cobblestone streets of Santo Domingo‘s Colonial zone draw visitors through 15th century sites to cathedrals, cafes and fanciful boutique hotels. Passion fills the air as you’re dancing to the country’s signature merengue and bachata beats. If you’re seeking something more serene, sail away on a catamaran ride to secluded Saona Island where you can enjoy natural swimming pools, soft white-sand beaches, and snorkeling. 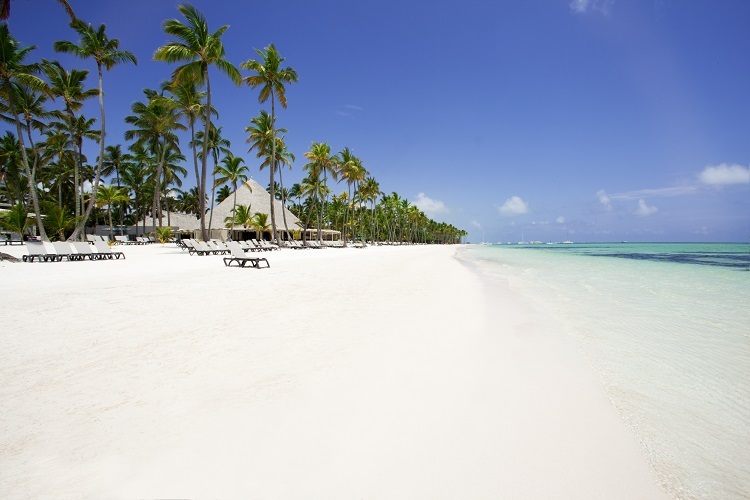 Dominican Republic is unlike any other destination in the world due to its stunning features. 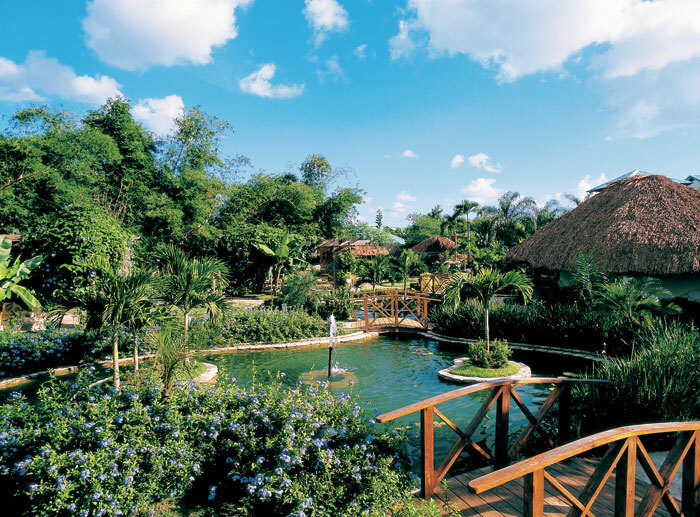 Lavish, five-star properties seamlessly mesh with lush rainforests, creating a truly magical atmosphere. It’s a tropical locale that will leave you with a lifelong love for its people, culture, food and scenery discovered along the way. Feeling inspired? 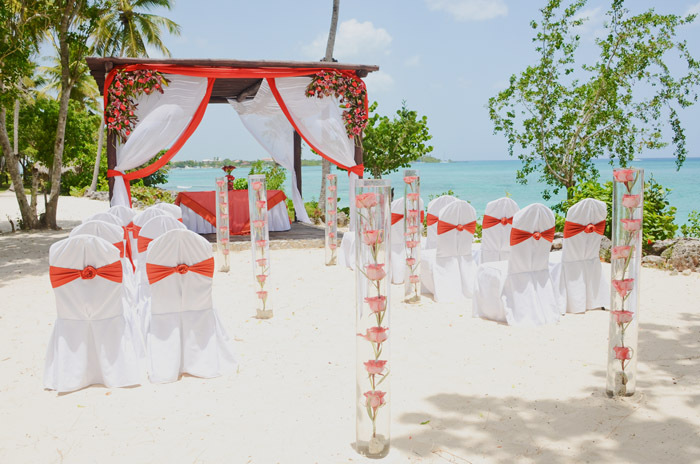 Learn more about weddings in the Dominican Republic HERE!